Two racing legends for the price of one - Mercedes-AMG will welcome Italian motorcycle brand MV Agusta into the DTM fold for the 2015 season. 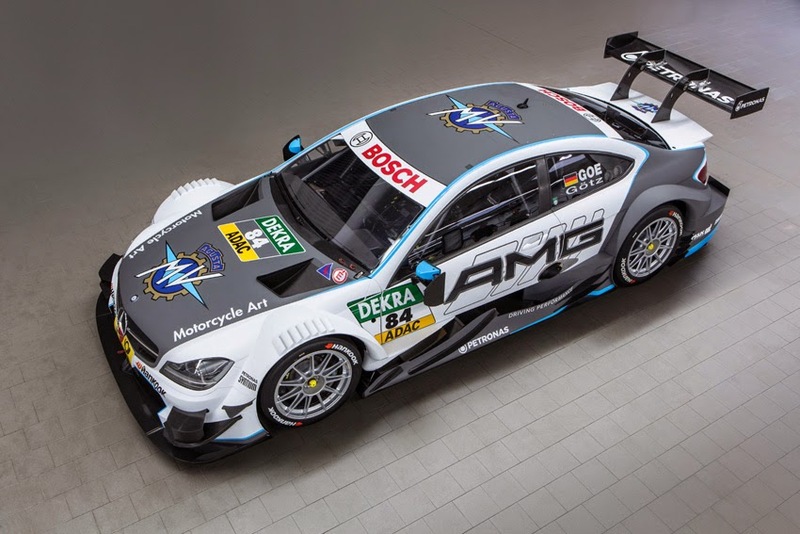 The logo of the well established motorcycle manufacturer will adorn a Mercedes AMG DTM car this year. Maximilian Götz (29, Mücke Motorsport) will compete in his debut season in the popular touring car series at the wheel of an MV Agusta-branded Mercedes-AMG C63 DTM. Similarly, riders lining up for the MV Agusta works team in the World Superbike and World Supersport championships will sport the Mercedes-AMG logo on their MV Agusta F3 and F4 RC machines for the first time this season. "Mercedes-AMG and MV Agusta - the two marques are united in their passion for competition; the constant striving for the highest performance and the quest to finish on the podium are reflected in both company's products. It is therefore a logical step for us to continue to write our racing history together in the upcoming DTM season," said Tobias Moers, Chairman, Mercedes-AMG GmbH. Ulrich Fritz, Team Principal, Mercedes-AMG DTM Team, added, "The racing spirit common to the two brands is now also visible on our respective racing machines and is symbolic of the desire of both parties to be the best in their respective series. The involvement of an Italian racing legend like MV Agusta is another powerful reason to look forward to the upcoming 2015 DTM season."